After the Catch Up & Connect session at the weekend, I have a few goodies left over, so I thought it'd be nice to continue sharing the love. I'll be giving away a gift bag from The Lovely Little Lunch, over on the Crystal Afro Facebook page >here<. 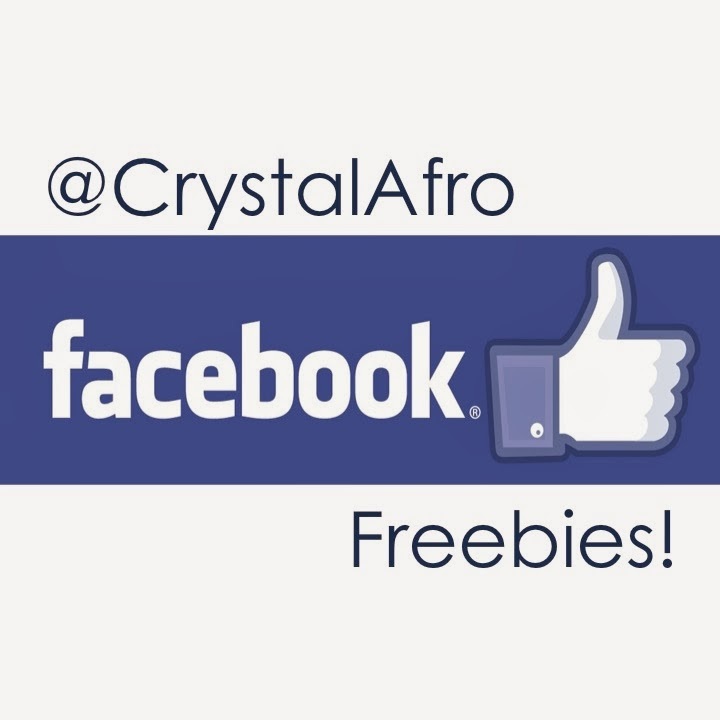 All you have to do is head over to the Crystal Afro Facebook Page >here<. Post a comment beneath the competition photo, naming ONE hair product you LOVE, and ONE reason you love it. By entering the competition and sharing the love, you'll be helping to inform other people about great products for natural hair, so head over now to enter! 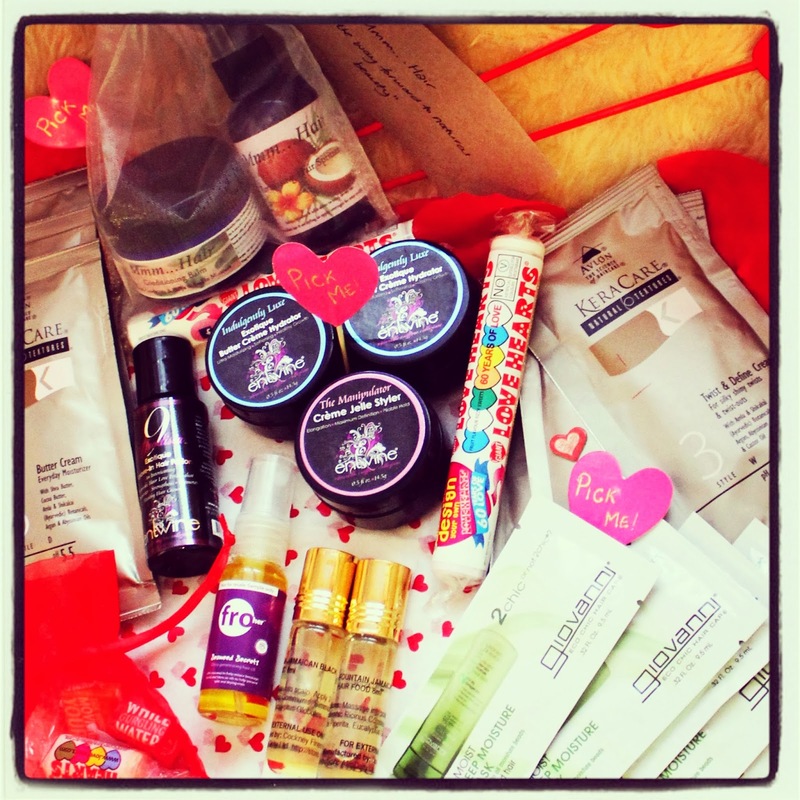 The goodybag includes samples from various brands. I've made sure that where possible duplicate/multiple samples are included: MMM...Hair (2), Entwine Couture (4), Giovanni (5), Evelyn FroHer (1) KeraCare Natural Textures (6), Afrodeity (2) Jane Carter (6). 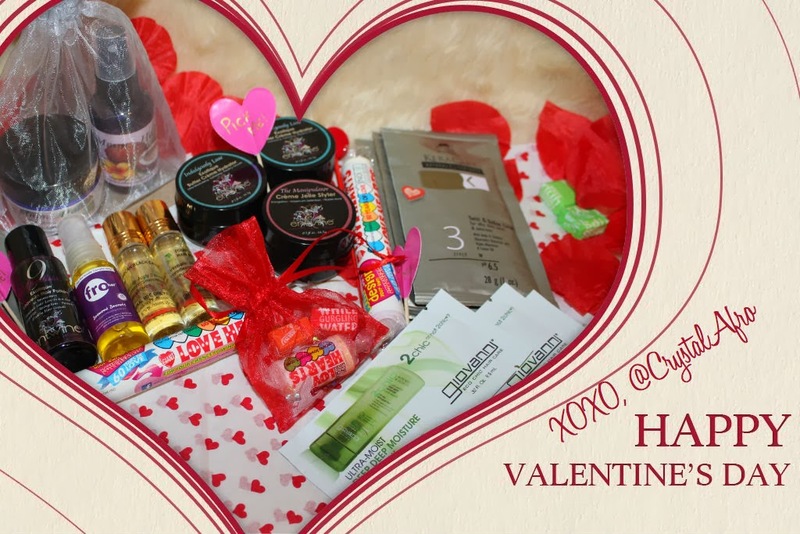 I'll be choosing 1 winner at random, and announcing them on Sunday 16th Feb 2014. HAVE A HAPPY VALENTINE'S DAY & GOOD LUCK! You must like the Crystal Afro Facebook page. You must leave a comment under the photo, stating 1 product you love, and 1 reason why you love it. The competition closes at 11:59pm on Saturday 15th Feb 2014. You must enter before the closing date. Please check additional T&C information on the PR & Policies Page.